Do not underestimate Feng Shui’s influence over you. Consequently, do not overestimate it because there are other factors at play. If you’ve consulted with a Feng Shui expert before, he or she should’ve told you about what kind of changes you can expect in your life. But if you have never consulted with an expert and think that applying proper Feng Shui can be life-changing, then this article is for you. Here, I will tell you what results you can expect from Feng Shui, assuming you did Feng Shui properly and NOT just applied some “tips”. Then, I’ll elaborate further on how much influence Feng Shui has over your life, comparing it to other factors that are both within and outside of your control. To start, let me make sure that you’re applying Feng Shui “properly”. What Kind of “Feng Shui” are You Applying? 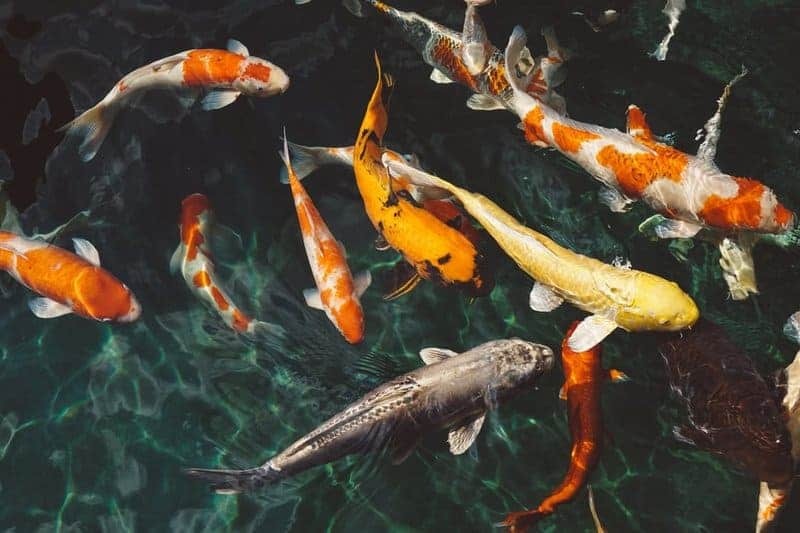 One of the most common questions people ask Uncle Dixer, our in-house Feng Shui Master here at Feng Shui Nexus, is about the lucky Feng Shui number of fish to have in an aquarium. First, let me make one thing clear. Feng Shui is MUCH MUCH grander than just the number of fish to have in your aquarium. Feng Shui is MUCH MUCH grander than just the number of fish to have in your aquarium. If you think having the right number of fish can bring you luck via Feng Shui, then I have to ask you: what about compass reading, your kitchen, front door, bedroom, house sitting and facing direction, house interior, house exterior, etc.? When applying Feng Shui “properly”, all the above things have to be considered (and more). Here’s a sample report of a Feng Shui audit to help you understand this. The main point here is that Feng Shui is NOT just about applying “tips”. There are several major schools of Feng Shui, all of which requires training and experience to do it right. If you’re just simply applying Feng Shui “tips”, do not expect it to give you the results you desire. I know some of you felt great after applying some of the tips because they made your home more comfortable and homely. But the original intent of Feng Shui is not for you to feel great. It’s supposed to boost your health, relationship, and career, among many other Feng Shui benefits. Now, suppose you got a Feng Shui audit of your home, and you know that you live in a house with good Feng Shui. When will the positive results come? When Do Feng Shui Benefits Manifest? In my experience, benefits take years to bear fruit. However, I’ve heard of a few cases where people got career advancements and promotions in as little as 6 months. In a nutshell, do NOT expect benefits to manifest immediately. That’s because there are others factors at play here. Sometimes, Feng Shui benefits do NOT manifest at all, mostly because of your Heaven Luck and Human Luck. 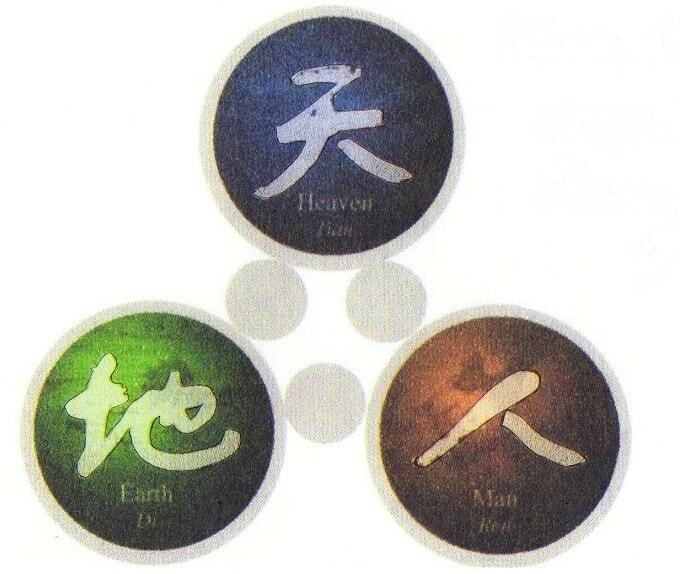 Those two, combined with Earth Luck (Feng Shui), make up the Comic Trinity – Heaven, Earth, Human. The Cosmic Trinity is Heaven, Earth, and Human. Each of them can be described as a type of “luck”. I’ll briefly introduce them here. Heaven luck refers to pre-destined luck. This type of luck can be decoded by a Bazi astrological reading (more on that later). Earth luck refers to Feng Shui. I don’t think this needs any further explanation here. Human luck refers to your free-will and the decisions you make on a daily basis. I will elaborate on this later. Earlier, I told you about a case where Feng Shui benefits manifested earlier because the person was going through one of his luck phase. This luck phase can be revealed by a Bazi reading. But what is a “luck phase”? What is this destiny luck? As you can see here, Bazi can reveal many things about a person. If you’re interested, you can see a sample Bazi reading here. Now, a little more on “luck phase”. Each person will experience different kinds of luck every 10 years. Some enjoy tremendous luck during their youth, while others in later years. Here’s an example to help you understand this further. Let’s say “Bob” doesn’t have any luck in wealth until he is 40 years old. If that’s the case, Feng Shui wealth can do little to help Bob before he reaches 40 years old. Bob’s wealth luck is limited by his Bazi Heaven Luck. In my opinion, Heaven Luck has a stronger influence over you than Feng Shui. If you happen to have a weaker pre-destined luck, please do NOT blame Feng Shui for not delivering results you desire. Conversely, if you happen to have a strong pre-destined luck, you probably don’t require much help from Feng Shui, although it can amplify your luck. Feng Shui is commonly used to compliment your Bazi profile. In ancient texts, Feng Shui is said to have the ability to transcend your Bazi profile. This explains why so many people place such a heavy emphasis on Feng Shui. However, modern urbanization and today’s living environment can hardly allow a person to transcend their destiny luck. Many powerful Feng Shui setup cannot be applied in urban city dwellings. First, it’s because it can get quite costly. For instance, what if a Feng Shui audit suggests that you should change your kitchen’s location? 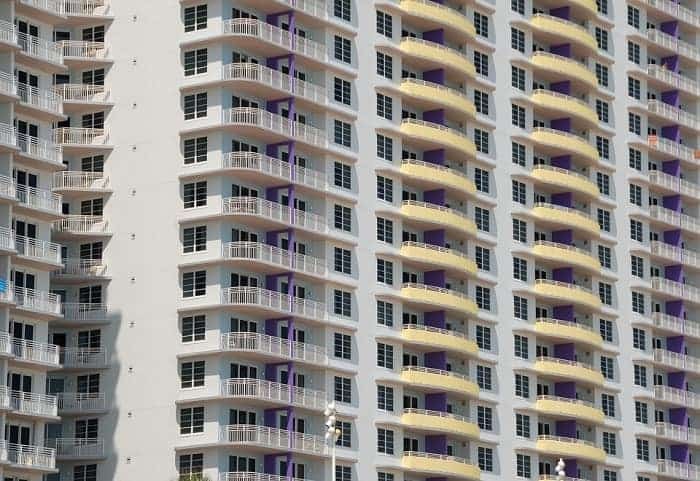 How expensive would the renovation costs be? Second, it’s because of our limited living space. Sometimes, Feng Shui setup requires making adjustments and improvements to the land that surrounds your home. For apartments, that’s simply impossible because you don’t own those land. For houses, it’s also not possible if you do not have a huge garden or land. As you can see, Feng Shui can potentially be life-changing. Unfortunately, modern-day living environment limits what we can do to create a Feng Shui setup that can transcend pre-destined luck. Don’t forget, the biggest factor is YOU, the Human Luck in the Cosmic Trinity of Luck. Joey Yap, a successful Chinese Metaphysics expert, claims that the Bazi charts of super successful business man in today’s world, like Richard Branson, all had an average Heaven Luck based on their Bazi profile. Perhaps Feng Shui helped them, but we don’t know that. What we DO know is that they have the passion, motivation, and discipline. They make wise decisions to educated themselves and to constantly improve themselves, which help put themselves in a better position than others around them. YOU can do the same. One thing we can learn from that story is this: if you’re getting help from Heaven Luck and Earth Luck, but you chose to do nothing, you seriously will get nothing. In the end, it’s what you do and the choices you make that matters. You are in control of your life. That is why I think Human Luck has the greatest influence over you. Here’s an example I use to explain the influence of Earth Luck and Heaven Luck. 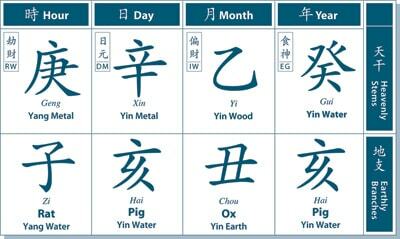 Let’s say your Bazi chart indicates that you’re in a period of time where you can accumulate great wealth. For simplicity, let’s just say you’re likely to win the lottery. With good Feng Shui surrounding you, you might win the lottery sooner, or a larger sum of money, or both. With bad Feng Shui, you might still win the lottery, but it will come later, with a smaller jackpot, or both. Most importantly, what you need to do is to actually go buy the lottery ticket. If you don’t even take action and buy that lottery ticket, you won’t even be able to enjoy what Heaven Luck and Earth Luck has in store for you. Yin Feng Shui refers to the Feng Shui of burial grounds. This was how Feng Shui was FIRST practiced. In the past, it was believed that a man’s life force is based on the Qi in the body. The assembling of Qi is deemed birth, and the dispersal is deemed death. When a body is buried, the Qi is returned to the bones. It was believed that collection and accumulation of Qi around the bones of the deceased can positively affect the lives of the descendants of the deceased. The idea behind burial Feng Shui is based on mutual resonance. The example given was that when a string of one lute is plucked, the same string of a nearby lute will vibrate simultaneously. In other words, objects within the same class in this natural world move each other mutually. 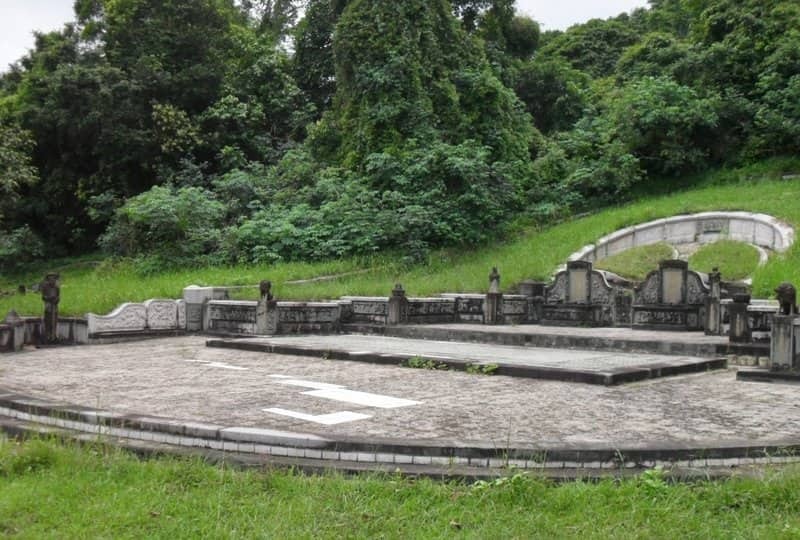 The above image is a typical setup of a burial site using Yin Feng Shui. A family had been enjoying a good run of success. Brothers worked successfully together and built a business empire. Sisters were married to well-off families. All of them had healthy children. Everything was in harmony. All of a sudden, everything seemed to be crashing down on them. The family’s lost over half their wealth, some experienced near-death accidents, and children are constantly sick. They’ve reached out to Chinese Metaphysics experts for guidance. Audits after audits didn’t reveal the root cause until a master suggested that they visit their ancestral grave. As it turns out, the body of the deceased took a nasty transformation (屍變) because of changes in landscape and its surrounding Feng Shui. They cremated the ancestor’s body and things finally began to stabilize. Now, it is entirely possible that this story is just hearsay. Nevertheless, I’m throwing this to out there so you’re aware that Yin Feng Shui is another factor that can influence our lives. Here it is again. Do not underestimate Feng Shui’s influence over you. Consequently, do not overestimate it. Feng Shui’s influence has its limitations. According to the Cosmic Trinity, it is only one-third of the equation. There’s also the Heaven Luck and Human Luck, where both play a greater roles over you than Feng Shui. Personally, I believe Human Luck and the choices you make have the greatest influence over your life. But a Bazi astrological reading can help you know what’s coming so you can make smarter decisions about your life. If you need guidance on what choices to make, like in career or marriage, a Bazi astrological reading can help. Using career as an example, Bazi can reveal a career path where money chase you, instead of you chasing money. But again, the choice is yours. And whether to use Feng Shui to assist you with your goals is also up to you. How has Feng Shui worked you? Did it deliver results and meet your expectations? Comment and let us know what you’ve experienced! Hi, I found your blog post very interesting to read and I certainly have a better understanding of some of your comments on Feng Shui. Admittedly the ones I found confusing were living in a flat and being able to change location of rooms etc but not if the flat isn’t your own. So is it worth placing any items of Feng Shui to enhance energy etc? I have been told that we live on a ley line. Is this good or bad? As for the Bali heaven luck, what you say regarding Luck through our lives makes sense, certainly for me. I am a pensioner and so far during my life I haven’t had a great amount of luck, only little, such as buying my own house, which unfortunately I no longer have. How much does it cost to have a Bazi heaven luck reading? Thank you for your blog posts and information. First, I’m glad that you enjoy reading my blog! Thanks! As for placing items, I wouldn’t put such emphasis on it. The most important aspect is the house’s sitting/facing direction, relative to where the front door, kitchen, and bedroom is in the house. As for ley line, I haven’t had much experience with it. Only information I have are from TV shows, which I have doubts on their info. 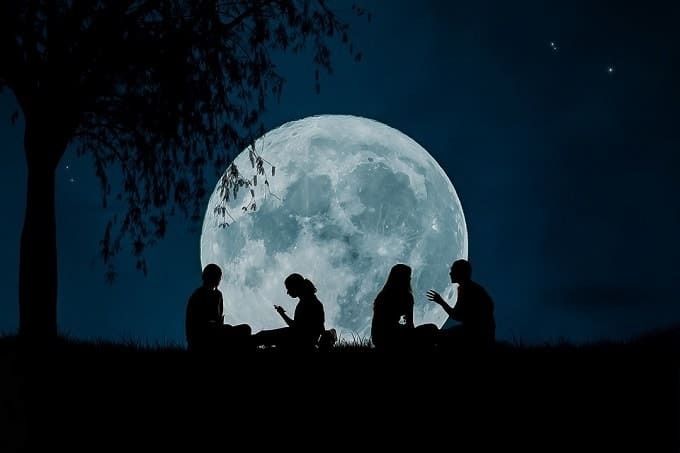 According to the ancient classics, there are three distinct – but interconnected – forces that influence your journey in life. Each one is equally weighted in importance without regard to hierarchy or order. Very good and rich article. I often write about this in my blog, but it’s not always possible to write so beautifully. Often, guys from http://coolessay.net help me to do this. The text is always original, full of interesting words and conclusions. The crucial aspect of Feng Shui is to achieve the absolute alignment of yourself, your awareness and your virtue. This way, your energy is aligned with the higher source. You already have the power within yourself.